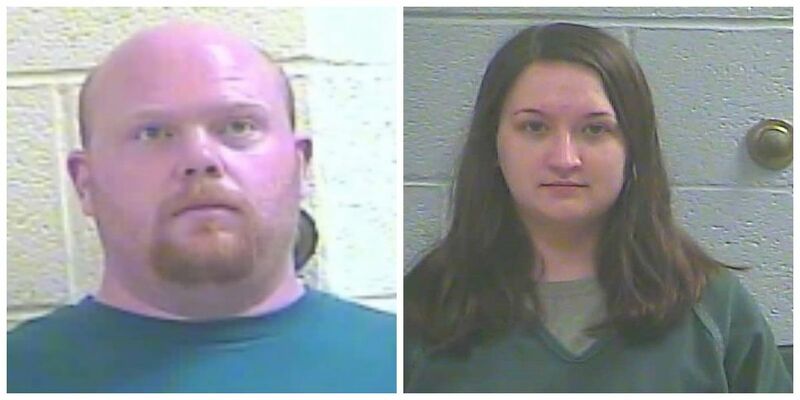 BARDWELL, KY (KFVS) - A man and woman are in custody and facing several charges out of Ballard County, Ky. According to the sheriff’s office, Jason Busby, 35, and Erika Wilson, 25, of Arlington were taken to the Ballard County Jail on March 26 after an investigation. Busby was wanted for possession of meth, drug paraphernalia and failure to pay a bench warrant. He had been calling several law enforcement agencies saying he was going to turn himself in. The Carlisle County Sheriff’s Office got a tip saying he would be at a home in Arlington on Hwy. 80. Busby was taken into custody and Wilson admitted to giving him transportation. Law enforcement said she also admitted to smoking meth at a hotel in Metropolis, Ill.
Wilson was charged with hindering prosecution. Busby has a $2,300 bond on a Ballard Co. warrant and no bond on the indictment warrant from Carlisle County. Wilson’s bond had not been set.